The EUR/USD currency pair is moving according to the forecast, the target of the descending pattern is the area of 1.2725. One should hold positions opened earlier or consider selling the pair with the tight stop. Also, we can’t exclude the possibility that the market may be corrected to the level of 1.3950. If the price breaks the channel’s upper border and leaves it, this case scenario will be cancelled. Pound has also started moving downwards. 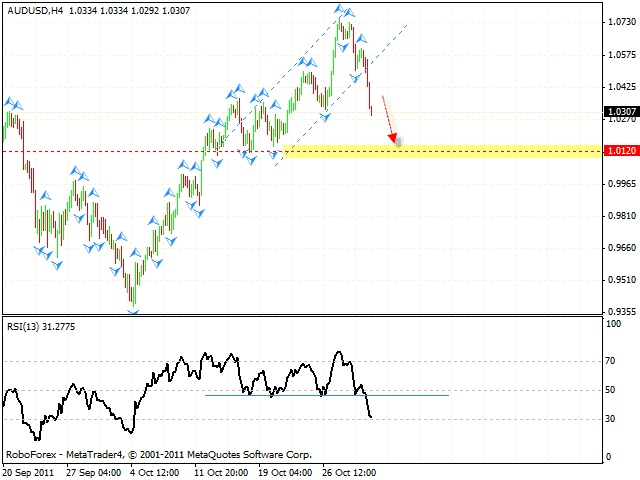 The RSI has broken the support level, we should expect the pair to fall to the level of 1.5685. 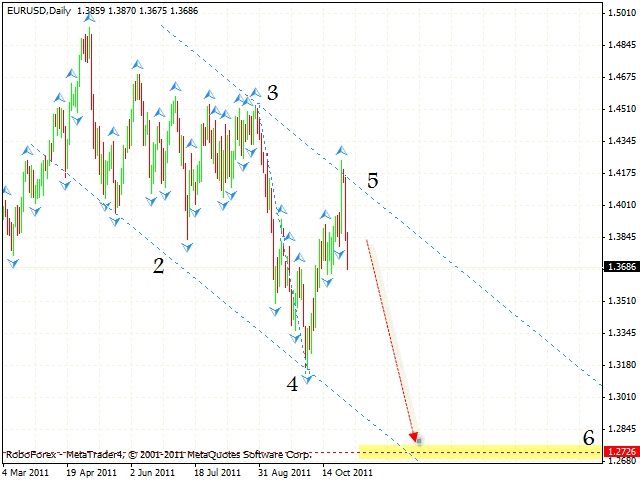 The next target of the fall is the area of 1.5540. One can consider selling Pound with the tight stop. If the pair grows higher than 1.6100, this case scenario will be cancelled. New Zealand Dollar is going to fall very deep, into the area of 0.7198. Currently the price is testing the descending channel’s upper border. There is a possibility that “head & shoulders” reversal pattern with the target in the area of 0.7578 may be formed. One can consider selling the pair with the tight stop. 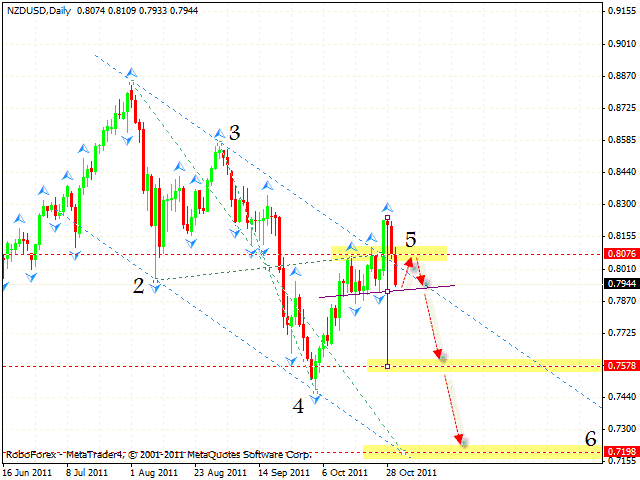 If the correction starts, we can try to sell the pair starting from the level of 0.8075. Australian Dollar has left the rising channel, and currently we should expect the price to test the level of 1.0120. 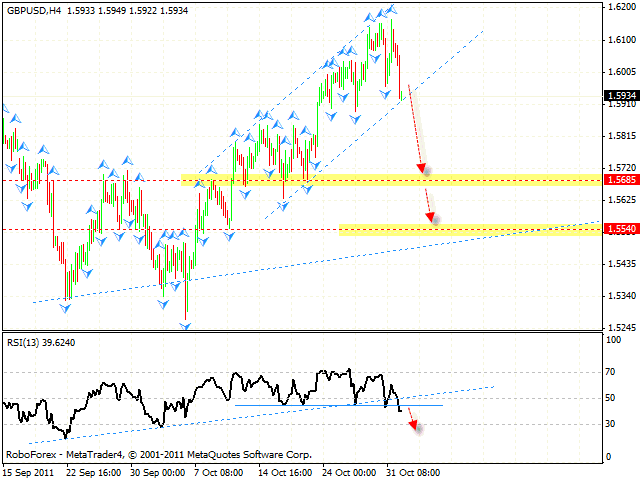 The broken support level at the RSI is a signal to sell the pair. The level of 1.0120 is expected to be a starting point of the correction.